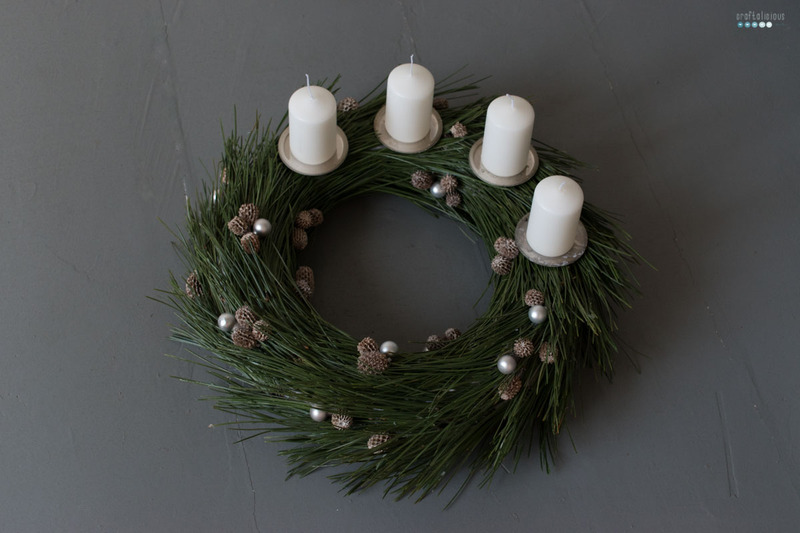 Writing my advent wreath posts is the sole reason this blog exists. Yes, pretty sure it is true. 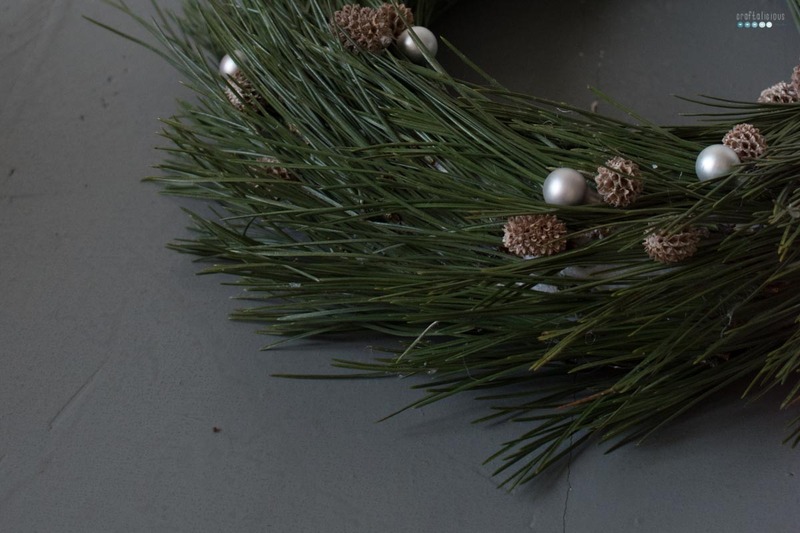 This year I want to share a Pine Needle Wreath with you. 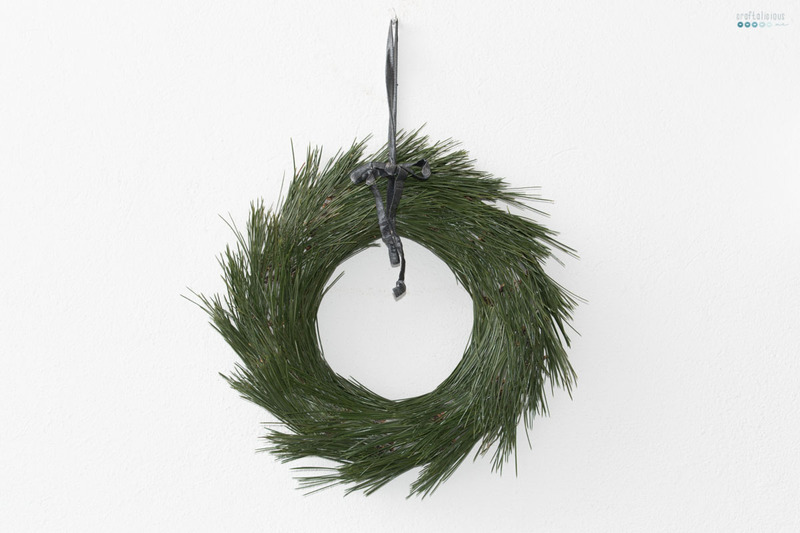 Not a regular pine wreath but one made of needles. You may wonder what the difference is? Oh there is one! Mainly time. But lets start from the beginning! Remember my post about the Pine Needle Star? Ever since than I had the idea in my mind that those needles are meant for more. I knew I wanted to do something with them when they were still green and fresh and looked vibrant. Then I came across this idea on Pinterest. I was thinking about doing that but of course I didn’t get around. Some things need time. So I thought about it a bit more. And then it hit me – somewhere, sometime. 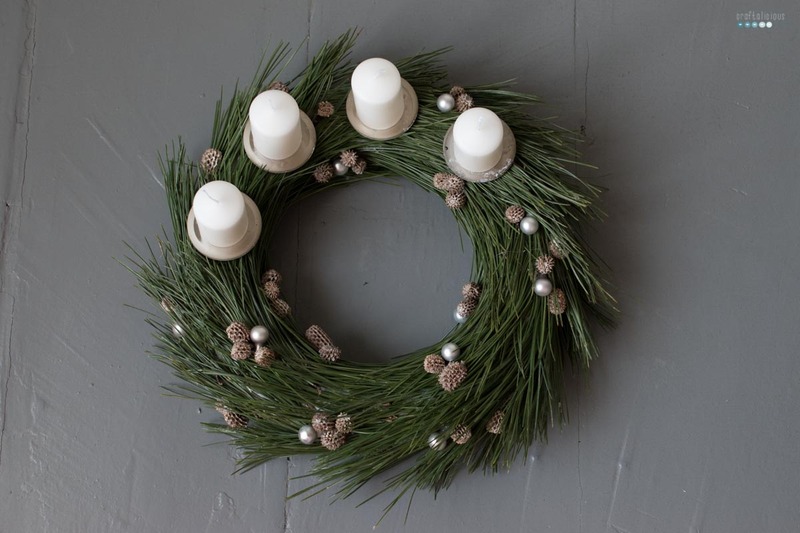 Use the single needles and glue them to a wreath form. 1. I started out wrapping my wreath form with a white paper because I lacked fabric. If I could redo it I would use a dark green fabric. As the wreath will be see through at certain places depending on your viewing angle it really doesn’t look too great. I had to glue in more decorations than I originally intended to due to that. 2. Start glueing pine needles in little batches to the form. 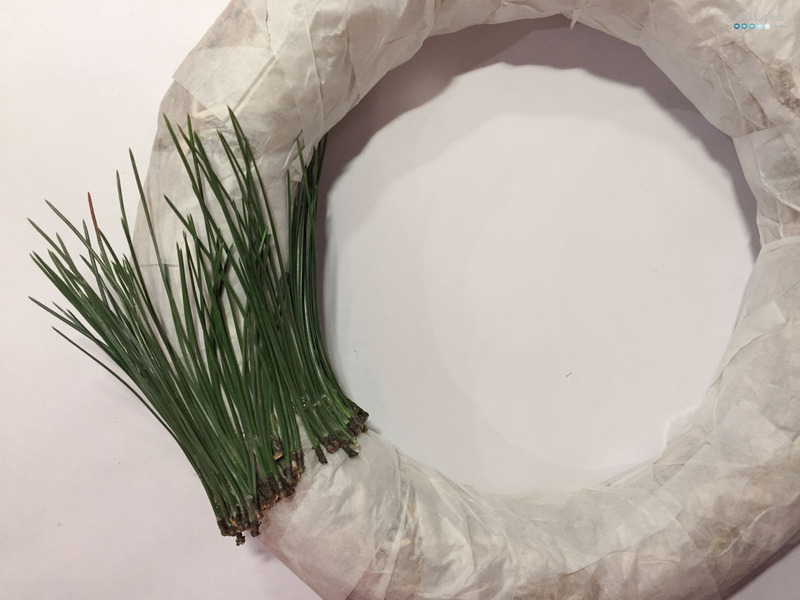 Layering them so that you cover the entire wreath form. The smaller your wreath form the shorter your needles should be. Otherwise the wreath looks rather messy. 3. Once you are done you can seal the needles from loosing color with simple hairspray. And that is about all you need to do. Unfortunately it does take forever. This advent wreath is by far the most work intense one I have done in the last 15 years. I think I worked a solid 8 hours on it. However I love the look of it and think it was worth all the time. This idea was in my head for so long it just need to be executed. Now let me know, would you attempt it or is it just too much effort? Oh wow, that is really pretty! Thank you. It was a lot of effort but turned out really good. Wow, da hast du dir ja richtig viel Arbeit gemacht. Aber es hat sich gelohnt, der Kranz ist mega-schön. Schlicht, aber trotzdem ein Hingucker. Schön, dass du bei unserer Linkparty dabei bist. Wunderschön ⭐️ Mir gefällt dein Adventskranz sehr gut! Schön, dass Du bei unserer Aktion dabei bist! 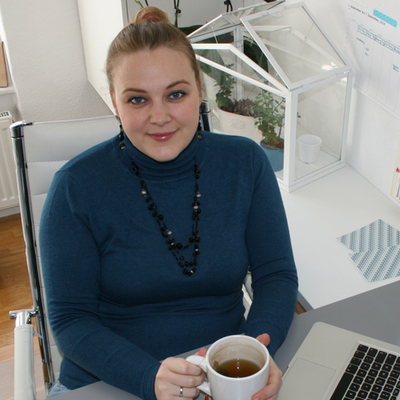 Liebste Weihnachtsgrüße Kerstin B.